Kickapoo River Valley from Wildcat Mountain State Park. Looking west. 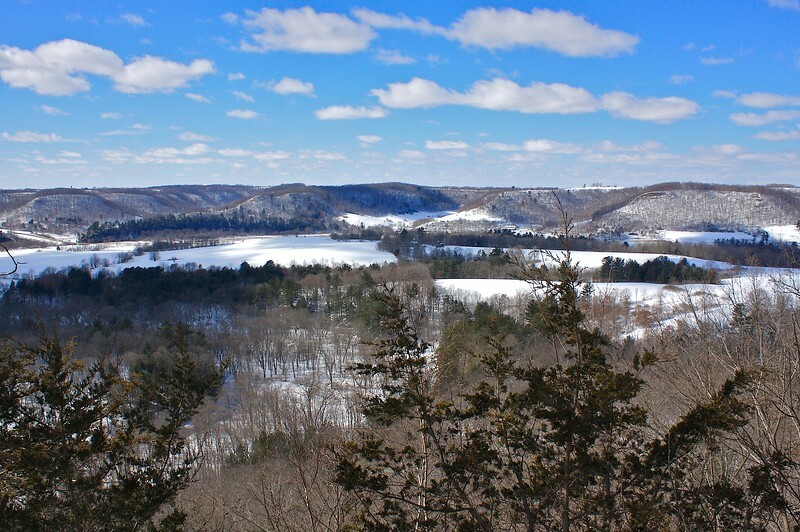 Kickapoo Valley Reserve Vernon County Wisconsin is over 8000 acres of public land. Wildcat Mountain State Park is at the northern end of the reserve. Untouched by major glaciation the kickapoo River system is one of the oldest on earth.